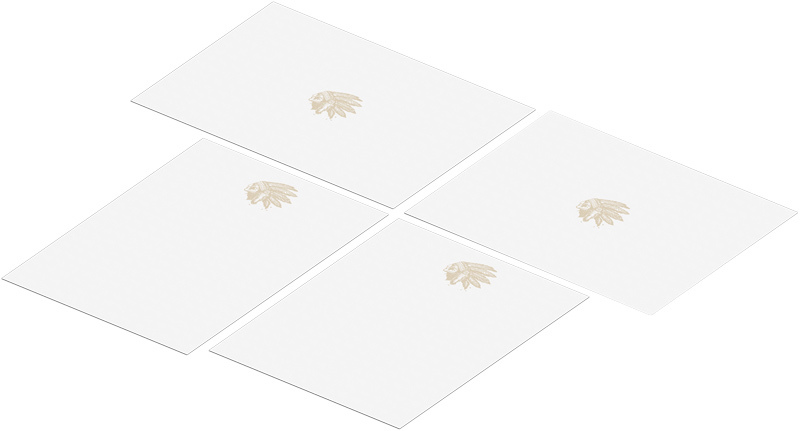 C-sizes are used for envelopes to match the A-series paper. I have omitted unrealistic sizes like C0 (imagine an envelope measuring 917 by 1297 millimeters). The dimensions of newspaper pages are not that strictly defined, so the average or most frequently used size is mentioned. You mention that you’re not sure what the ISO D sizes are for – they are envelope sizes for the B series, much like C are envelope sizes for A.
i am using html2pdf to convert html to pdf… actually i have a large size of html container like 12x12in (inches). can i increase height and width of A4 paper size? Actually i have a div with size of 12×12 inches and i want to create a pdf of it… and i have tried A,B,C and all related paper size. But output is 8.27×11.69 inches… How can i do this.. please help!!! You don’t seem to have a problem with a paper size, you struggle with a printer driver or export settings. I can’t help with those. What is the standard size of books that are published in the rest of the world other than England and the U.S.? I am writing up a family history that will be printed in Germany and would like to utilize a size that they would be familar with. Good post. I be taught something on completely different blogs everyday. It’s going to all the time be stimulating to read content material materials from other writers and comply with just a bit something from their blog. MY original post on this topic was ‘ Why is it that UK bank statements (and some other official documents), use paper that measures 300mm X 210mm – i.e. just 3mm longer than standard A4? It matters. because it won’t fit in a standard copier feed tray. 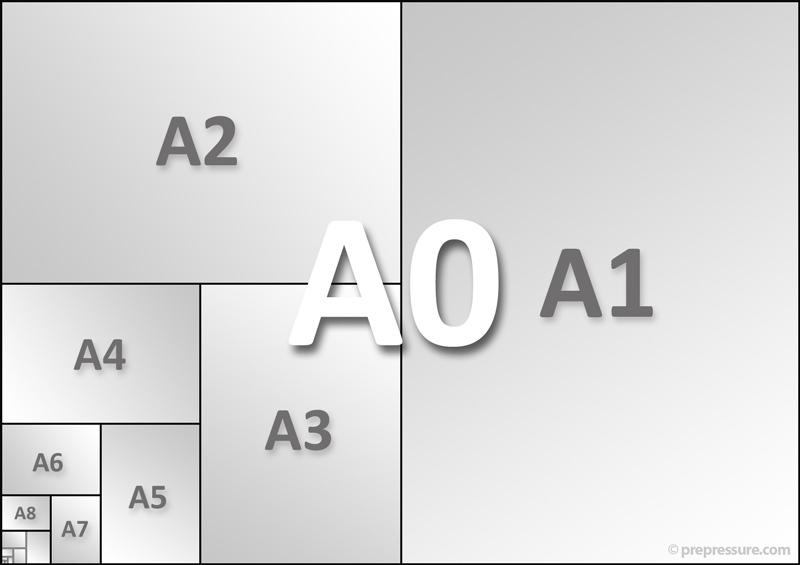 Regarding your observation: American paper sizes lacks the consistent aspect ratio of the ISO A-series. That is because in the decades prior to Personal Computer, the US Standard “Letter” Sizes were for designed for the draftsman: the kind-a guy sitting at the angled desk with the only electrical device in sight would be the light bulb (he EVEN had to manually sharpen his own pencils). Size A is 8-1/2″ x 11″ inches (how they determined that I do NOT know). After that (B,C,D,etc.) sizes either doubled in width and/or height as needed for drafting (the biggest ones were nick-named bed sheets). At one time I the task of printing out blue prints stored on microfilm embedded in punch cards: I think F is the largest size I remember seeing on a regular basis but I am almost positive that they go larger than that (I mean in the US Standard Letter Sizes). Most of the blue prints stored on microfilm that I saw were of size D or E.
As a kid I always thought that the half-sheet was just a letter size sheet of paper physically torn in half. I recently cleaned out an office that had numerous forms printed in the 1970’s. #2 US Standard Fan-Fold (aka green bar): 14-7/8″ by 11″ – These are/were for the wide pin-feed (teletype / industrial / factory) printers. I wanted to change Letter to A4, but then I had to choose from a new dropdown: A4 1/4, A4 1/3. What is that? Width should always be before height. The end. If you are referring to my post width is before height. Thanks for a very handy reference. It has been of material use to me. Thanks again regards. What is the percentage increase from A5 to B5 paper size. I have a question… what would be the actual size of an oversize ANSI E? Do u have any information on how to fold E-size paper to fit in 11X17 binders? Would appreciate it greatly. the information on this site is quite helpful. I can now comfortly choose a size that is close to what I have in mind. To me, ISO paper sizes remained the standard measuerements. Hey I’ve been told by my boss to print a document in 7.25 x 9.5 inch size. Does this dimension have a name? Is it a ‘popular’ size? hi,this site is very useful 4 me.if i get any problem,sorted out by u.thx a lot. Thanks to your website, we discovered a book we had was size A6. We needed that size to correctly scan the document quickly, without cropping. Adobe Acrobat rotated the pages correctly. In the UK I use A4 for document originals and print A5 for their booklet equivalent. What size of .pdf document will allow the US to print a Letter sized original but still print a 1/2 sized booklet. If you have not found your answer regarding, “elephant”, I will try to give you one. Elephant is an traditional English Paper & Book size of paper. The basic size is 23″ x 28″ or 584mm x 711cm. What is the standard printing size for documents in India? A4, letter, other? As far as I know it is A4 – which was adopted as the national standard in 1957. It is not wise to enter in any business which is unfamiliar. Thanks for telling me this we where talking about why the bigger the number the smaller the page size so thanks! Neat … love the comments too … have a look-see at – http://en.wikipedia.org/wiki/Paper_size – mentions ‘elephant’ size there. It is funny for me to read all this comments and questions about paper sizes. For me as German the sizes are crystal clear with our DIN A (Deutsche Industrie Norm) now named ISO for international understanding. I fully agree with Alistair about the ignorance of America in that matter. Your website is really helpful for the architectural students like me. Your listings are very helpful as a Brit, expatriated to USA now back in UK again. I am looking for a UK source for Legal & Letter size hanging files for my US office furniture I brought back. Any ideas? What a mine of useful information! Thank you for taking the time to let me have this valuable info. My query was regarding SRA3 which I have had answered admirably, thanks. It is true then, size is everything, certainly when it relates to paper! Excellent! Informative and helpful article. Thanks for the useful, well presented and consise info. Anyone who’s ungratefully pedantic enough to be upset or offended by it, please supply dimensions of the cavity you’d like me to insert the paper into and I’ll duly oblige. American, ISO or English measurements accepted! For some on here, I’ll prepare the A0 heavyweight stock. i actually wanted to know the names of the various types papers used in printing industry. it seems u dont have the info. I have a ledger I purchased in Oxford in 1969 the size of which was described as “elephant folio”. Does this size still pertain? Do you have a pdf version of this info..
Any paper with size 6.5in x 9 in.? The “D0” is an exact match to the HP plotter that I use. This is most likely very too late for you. However, I’m trying to learn the difference between Hagaki, Wallet, Passport, l, & 2L for a personal photo collage project I’m working on. The L is 3 1/2 x 5 The 2L is 5×7.01 like a post card w/ a borderless photo. Duncan, this is most likely way too late for your answer. I’m working on a kind of a collage photo like project. I’m throwing together a bunch of different pics together on an 8.5×11 photo paper (A Letter). During tips of how to put multi pics on 8.5×11 , it gave a break down of how many different size pics can fit on this size. I ran into the Passport, Wallet, Hagaki, L, & 2L. I’ve been googling the difference between all these sorts of papers. The 2L (or 5R) is 5×7.01 like a post card borderless photo. The L (3R) is 3.5×5 of Photographic Paper. Thanks a lot. I found it very useful .Anytime i need help of papersize I refer it. Hi, I am trying to find out what paper size for a publication that folds over and is (when folded) letter size or 8.5×11? Do you know what software and printers to use for this size paper? If you want to simply fold a page along the shortest side to end up with a letter size document, you need to use a tabloid size page (11×17″). If it is a more complex folding scheme you are after, such as a gatefold or one or two folding panels, then each panel needs to be smaller to compensate for inaccuracies in folding and cutting. If this isn’t done the edge of the paper will crease when the piece is folded. I think panels that are 1/16″ of an inch less wide is the general recommendation but it is better to consult with your printer. The regular layout applications like Adobe InDesign, QuarkXpress,… are used for designing folded documents. Typically thin lines in the bleed area indicate where the document should be folded. Can you help with paper sizes for music. I believe they are quite different. Sorry, I have no experience with paper sizes for music. Is there a name or number for 6″ x 3.75″ paper, which is a personal check size? I’d like to think my computer/printer has been programmed with that size but I’m not sure what to ask for. NemLaxmi Pvt. Ltd. This article proves to be helpful to me while studing different paper sizes while preparing coding of finished product for making every product unique. WHat is a livre demi-poche? And what size is it? I cannot find a definition for it either. A ‘livre de poche’ is a pocketbook, typically 130×190 mm. ‘Demi-poche’ could be a half-size version but I cannot find any dimensions for it. I’ll ask one of my French colleagues, maybe they know. It has taken me 70 years to get curious enough about sizes of paper and envelopes and paper. Your site has fulfilled that curiosity most admirably! Thank you. Your information is ok. but can get a bit more stuff cause i still did not find wat i was looking for. 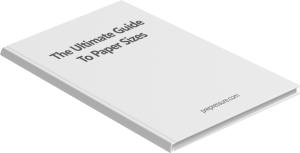 I was looking for popular paper sizes but didnt get it. I think it is difficult to list how popular certain paper sizes are. Obviously this depends on the intended usage but there are also big regional differences. Most of Europe sticks to ‘A4’ for letters and general office printing but you won’t find this size much in the US. If anyone has a list, please post a link! Thank you for the information found on this site. It has been a big help – I have printed it out and put it next to our copier for the staff to see. 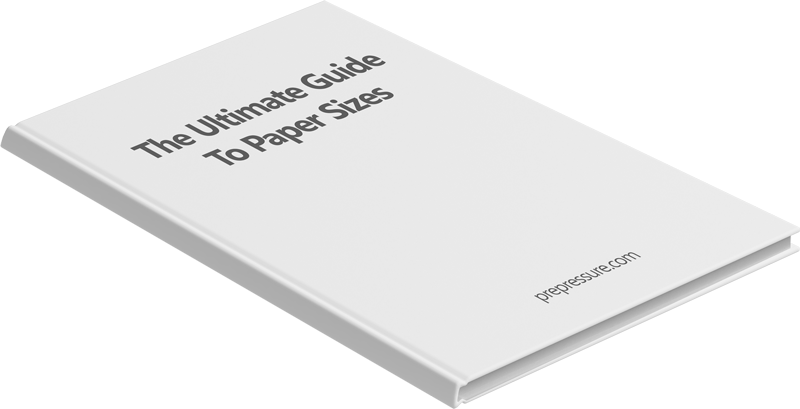 Knowing the exact sizes of the various papers is a great help. I do not mind the size issue US and others. To each there own place and size. But I do mind not have copiers with preprogramed enlarge and reduction setting for standards. The common US are list or the common ISO are listed but why not have ISO to US and US to ISO the V and H ratios could be preset and ready for use. While I agree there really is some logic behind the US paper sizes I suggest the gentleman taking umbrage be a little more sensitive to the US approach to ignoring international standards in this and many related areas. The US continues to use measurement basis that the rest of the world largely abandoned (except for specific special cases) a while ago. Such changes are obviously not trivial for a population to embrace…but people do quickly adapt. His example of foolscap is a case in point, it is an archaic size and very difficult to find in the UK…the ISO A sizes having been adopted years ago. It is public record that the US was the last major player to accept SI as legal remarkably recently, and remains the last to not require it on packaging and the like. The US even insists on a different system of maritime navigation marks whilst everyone else not dominated by big brother uses a different internationally agreed approach. It should therefore be no surprise if the raison d’etre behind the US approach is less than widely understood outside the US. I am from the UK but have lived and worked in the US for over decade now. I know from personal experience how unnecessary these differences really are…and a little bit of flippancy in the face of such national arrogance seems totally appropriate to me…even if it was unintentional in this case. Whoa… tell me about it! Sounds like a genuine paper expert there. Very helpful none the less. Thanks!! Ouch, I never realized people could be this sensitive about paper sizes. Thanks for the explanation though, which is very informative! I have changed that line of text on the page. As for this site being a professional site: it isn’t. I see it as my web-enabled notebook. I can only guarantee that visitors get more than what they paid for 🙂 … but I acknowledge that this is no excuse for making mistakes. Again: thanks for the feedback! I take issue with your flip comment that there is no apparent logic behind US paper sizes. The American Society for Testing and Materials sets these sizes and they are very logical and easy to remember without resorting to references (see below). Some of these sizes have also picked up synonyms such as “letter” which, I would argue, are no more illogical than British terms such as “foolscap”. A size is the functional equivalent to UK A4 and is 8.5in by 11 inches. As the letters increase the short dimension is doubled. E.g: B size is 17×11 inches (roughly A3 – also called ledger), C size is 17×22 inches, D size is 34×22, and E size (typically a ‘full-size” engineering drawing) is 34×44. Special paper sizes such as executive, legal, etc. are marketing names developed by stationary companies and immortalized by the print drivers installed on your computer. I would have expected more research from a professional printing site. Wow, what a prick! How’s that for a flip comment? Good response spoiled by bad spelling : STATIONERY is the word !! Great summary for the “non-initiated” – thanks!